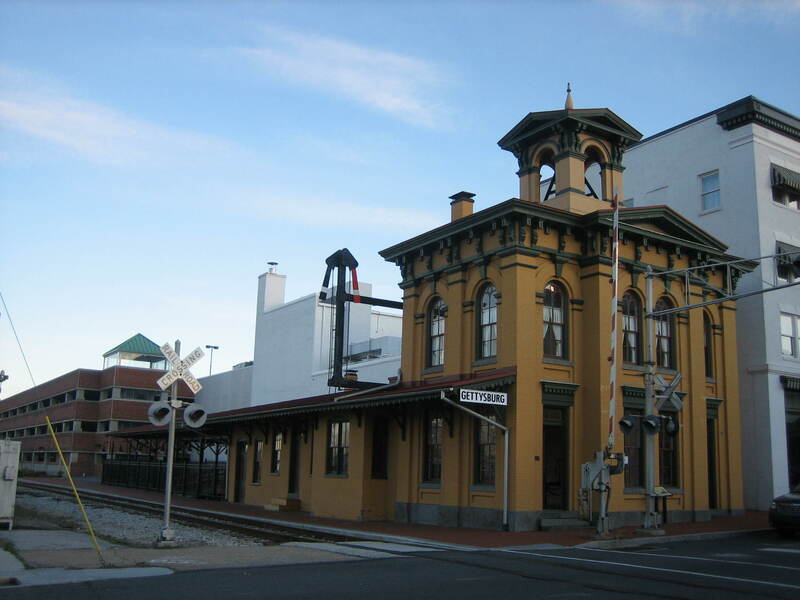 At 6:00 PM, on November 18, 1863, it was already becoming dark when President Abraham Lincoln’s train arrived from Hanover. 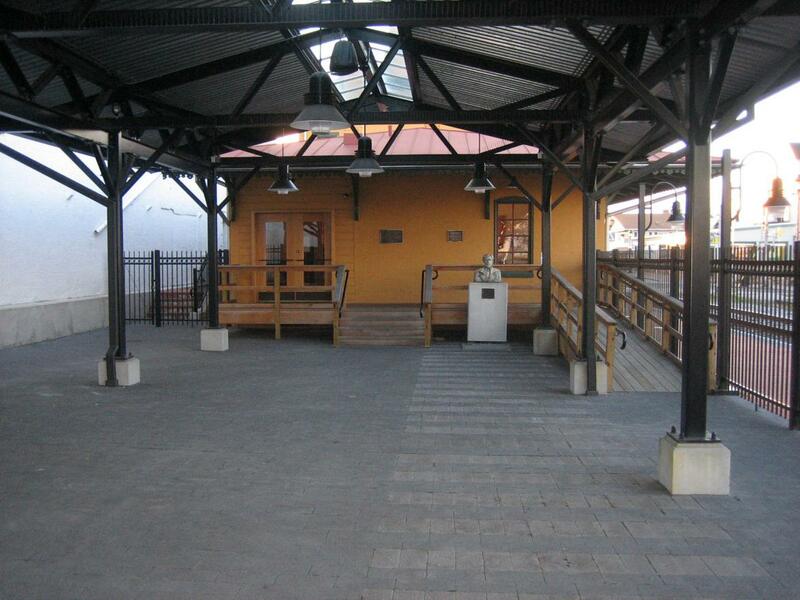 It switched to the passenger platform siding to arrive at the east side of the Gettysburg Railroad Station. 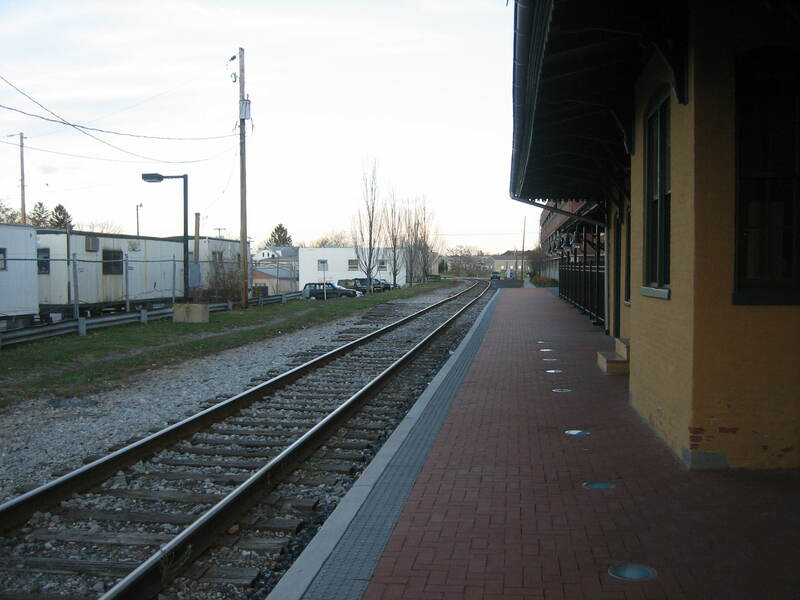 This view was taken in the Western Maryland Railroad Station facing south at approximately 4:30 PM on Tuesday, November 18, 2008. 145 years ago today, President Abraham Lincoln arrived at Gettysburg in preparation of saying “a few appropriate remarks” at the dedication of the Soldiers National Cemetery. 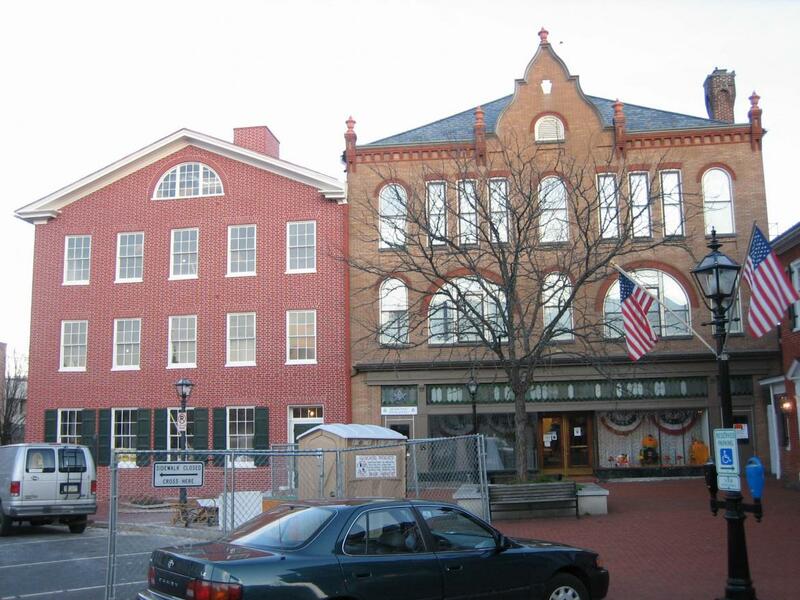 On November 18th, the day before he made his Gettysburg Address, he would have dinner at the home of Judge David Wills, make a brief speech to the crowd, and journey to the building next store to confer with Secretary of State William Seward. He would then attempt to sleep in his bedroom on the second floor of the Wills House. 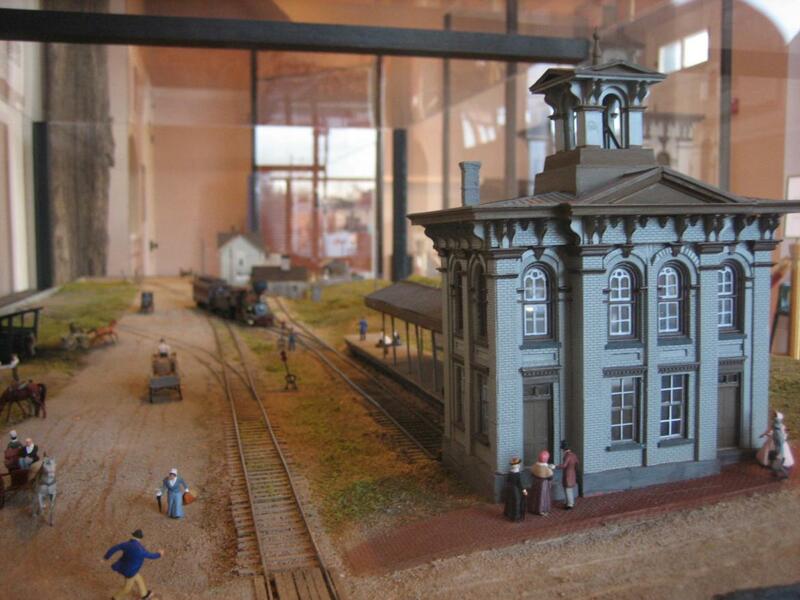 The Gettysburg Railroad Station was completed in May, 1859, although the railroad had formally opened on December 16, 1858. 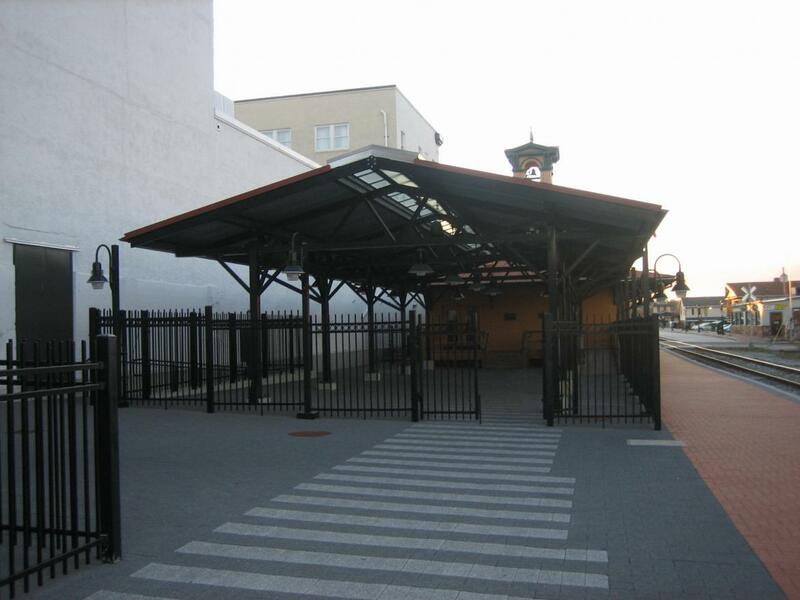 The cost of the passenger station was $2070. This view was taken facing southeast at approximately 4:30 PM on Tuesday, November 18, 2008. Lincoln’s train did not come in on the track shown here. In 1863, this track led farther to the west to an area that consisted of warehouses. 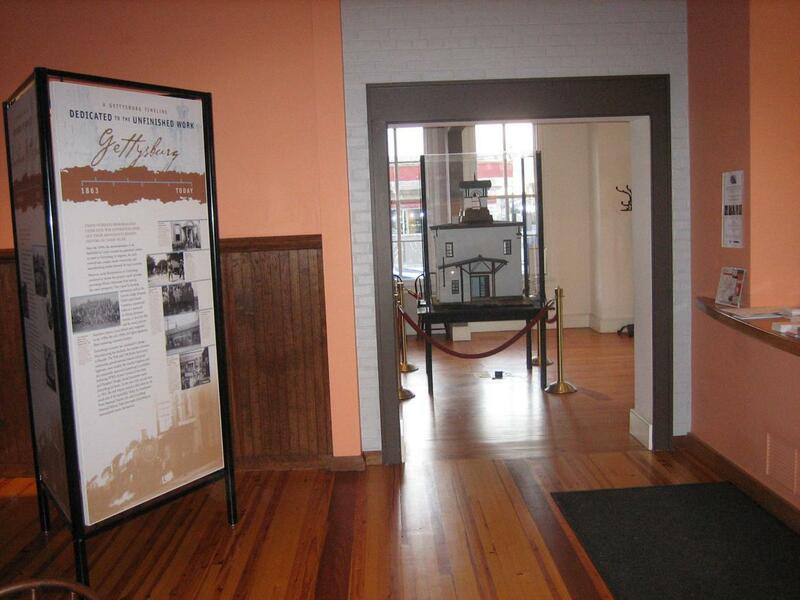 Lincoln’s train, and all passenger trains, entered the station from the rear. When President Lincoln arrived, there were coffins stacked around the railroad platform area as part of the reburial operation. This view was taken facing east at approximately 4:30 PM on Tuesday, November 18, 2008. 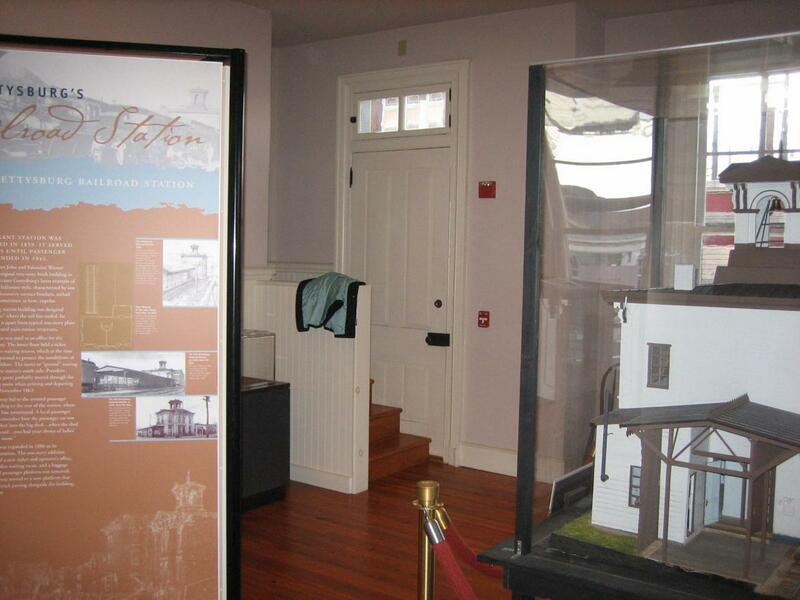 North Stratton Street is running right to left or north to south on the camera side of the first house in this model in the passenger station. The train crossed Stratton Street, and then was directed to the left (south) to the railroad station. This view was taken facing north (because its not oriented to its proper direction in the passenger station) at approximately 4:30 PM on Tuesday, November 18, 2008. 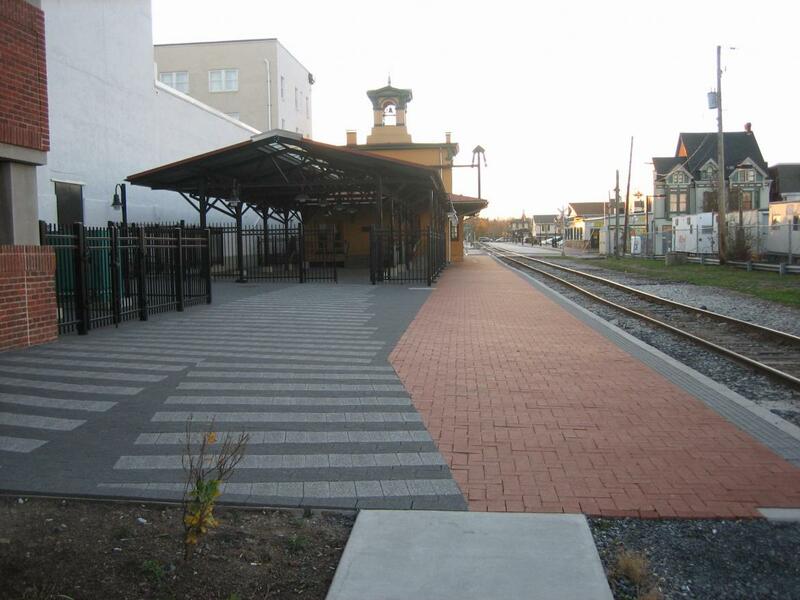 The path of the 1863 passenger railroad tracks is marked by light colored stones in the shape of railroad ties on the east side of the station. This view was taken facing west at approximately 4:30 PM on Tuesday, November 18, 2008. 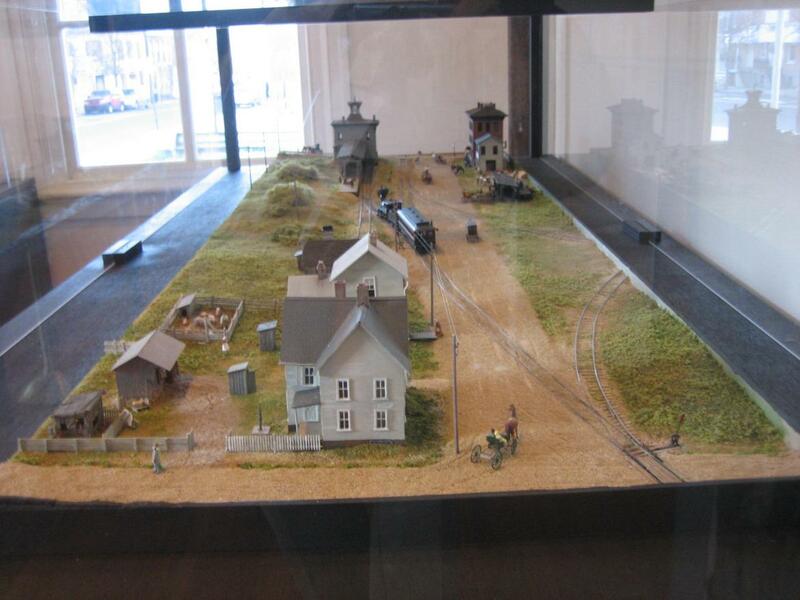 We are following the path of Lincoln’s train to the rear (east side) of the passenger depot. This view was taken facing west at approximately 4:30 PM on Tuesday, November 18, 2008. The pathway of the tracks lead us, conveniently enough, to a bust of Abraham Lincoln. This view was taken facing west at approximately 4:30 PM on Tuesday, November 18, 2008. 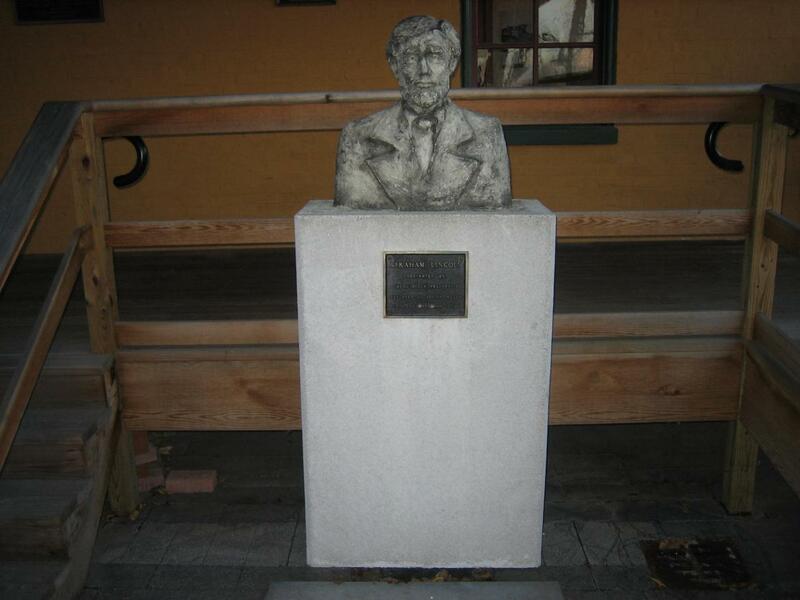 The bust was presented by the Lincoln Fellowship on November 19, 1981, and previously sat in the doorway of the York Street entrance to the David Wills House. This view was taken facing west at approximately 4:30 PM on Tuesday, November 18, 2008. Lincoln disembarked here, which was not part of the passenger depot at the time, this area would have been outside in 1863. This view was taken facing west at approximately 4:30 PM on Tuesday, November 18, 2008. 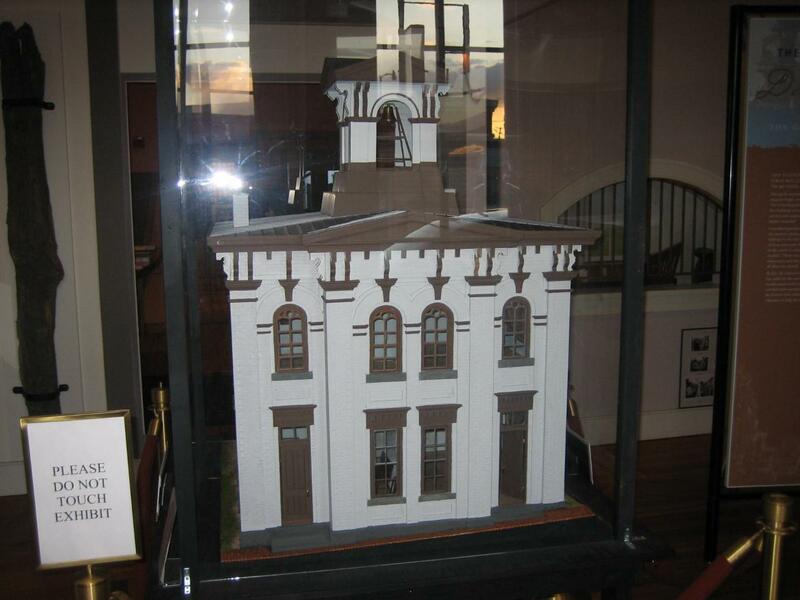 This is the back of a model of the 1863 passenger depot which sits in the front lobby. 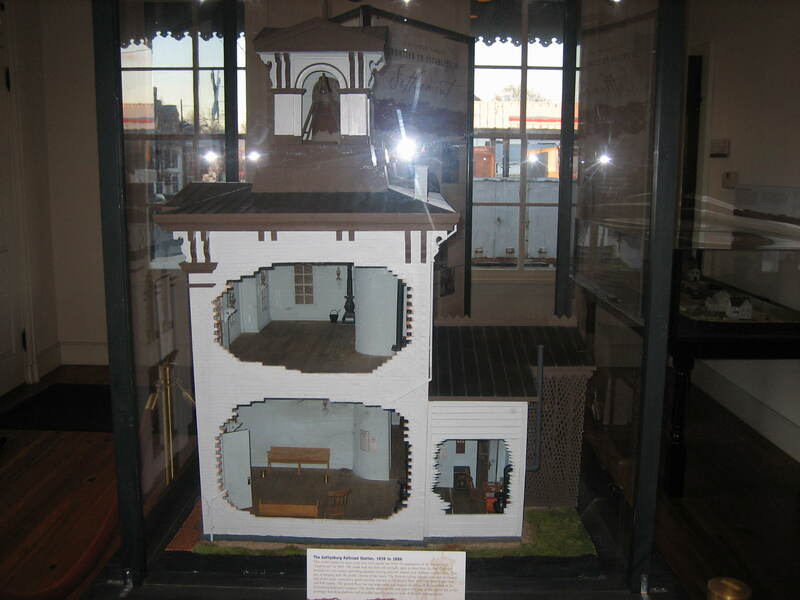 It is oriented to the building layout. 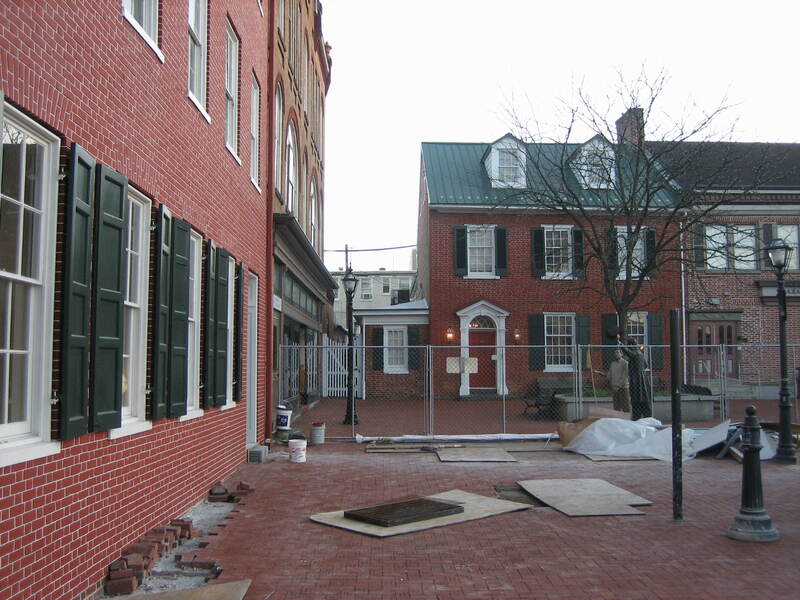 One can see how the rear of the building looked when Lincoln arrived. To the left of the overhang is a small structure that extends from the rear of the building. This was the ticketing office. This view was taken facing west at approximately 4:30 PM on Tuesday, November 18, 2008. Lincoln was greeted here by Judge David Wills and Edward Everett. Again, this was outside the depot in 1863. He entered the depot with his entourage, through the double doors at this location at the rear (east side) of the building. 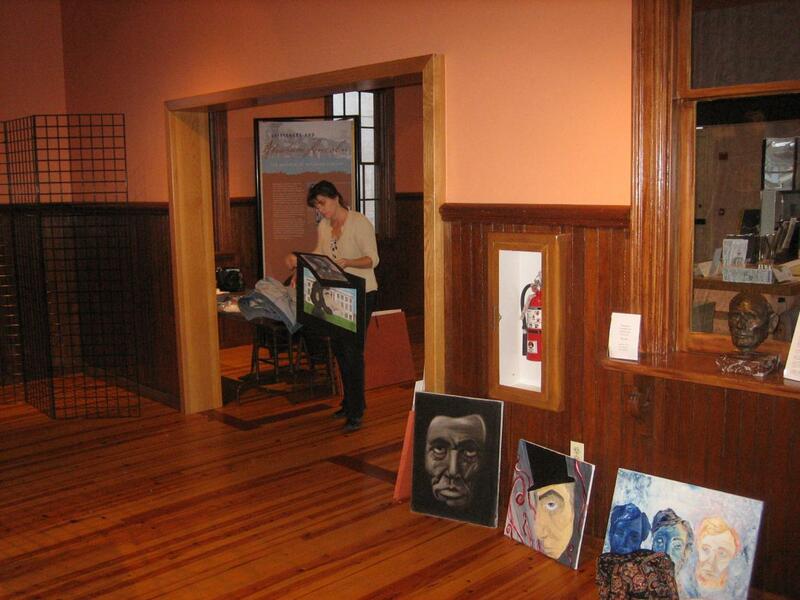 We interrupted artists in the process of displaying Lincoln paintings this afternoon. This view was taken facing southwest at approximately 4:30 PM on Tuesday, November 18, 2008. He would then proceed to the passenger waiting rooms area. This view was taken facing west at approximately 4:30 PM on Tuesday, November 18, 2008. There were two waiting rooms. One for men, and one for women. That is why there are two doors on the front (west) side of the building. 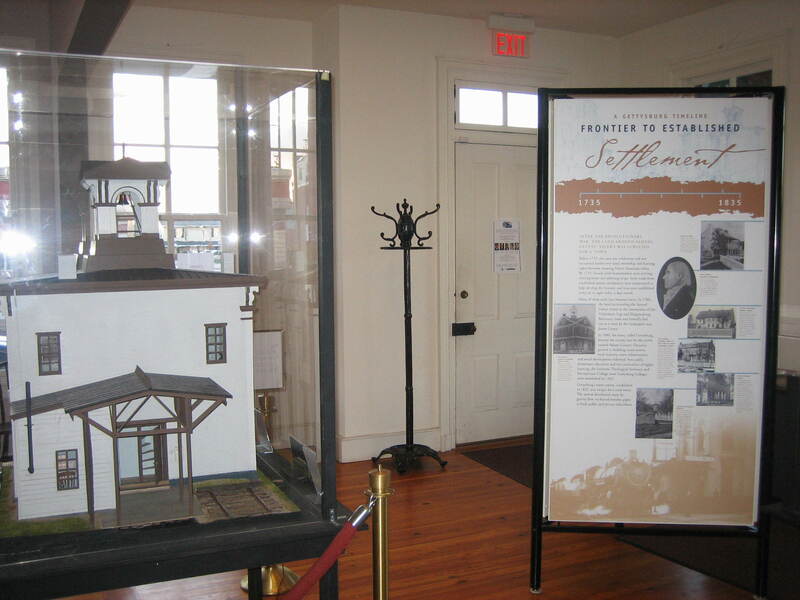 The women’s waiting room was on the left side (north side) of the building, and the men’s waiting room was on the right side (south side) of the depot. This view was taken facing east at approximately 4:30 PM on Tuesday, November 18, 2008. Again, left (north) entrance for the women’s waiting area, and the right (south) door for the entrance to the men’s waiting area. This view was taken facing east at approximately 11:45 AM on Sunday, November 9, 2008. Nobody knows through which area Lincoln exited the building. The women’s exit is seen from the interior of the depot. This view was taken facing northwest at approximately 4:30 PM on Tuesday, November 18, 2008. It is assumed that he took this exit through the men’s waiting room. This view was taken facing southwest at approximately 4:30 PM on November 18, 2008. 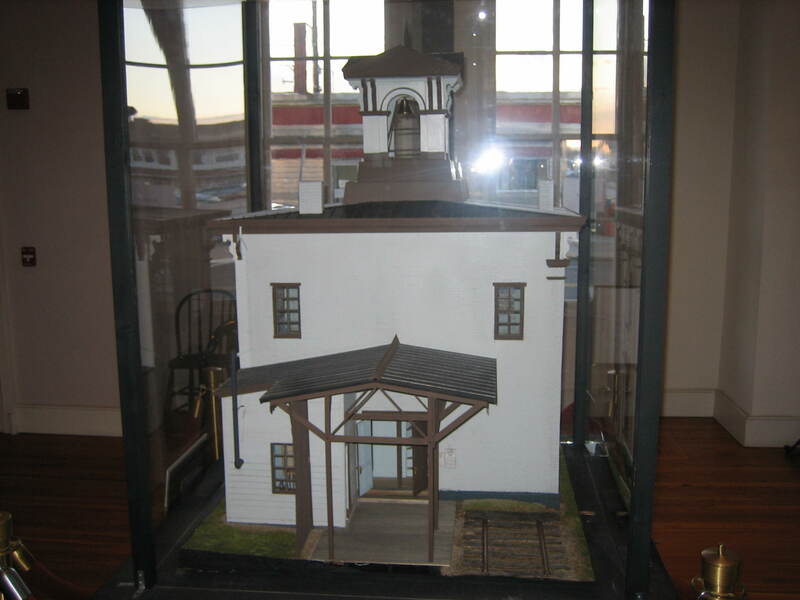 The model shows a cutaway view of the south side of the depot. 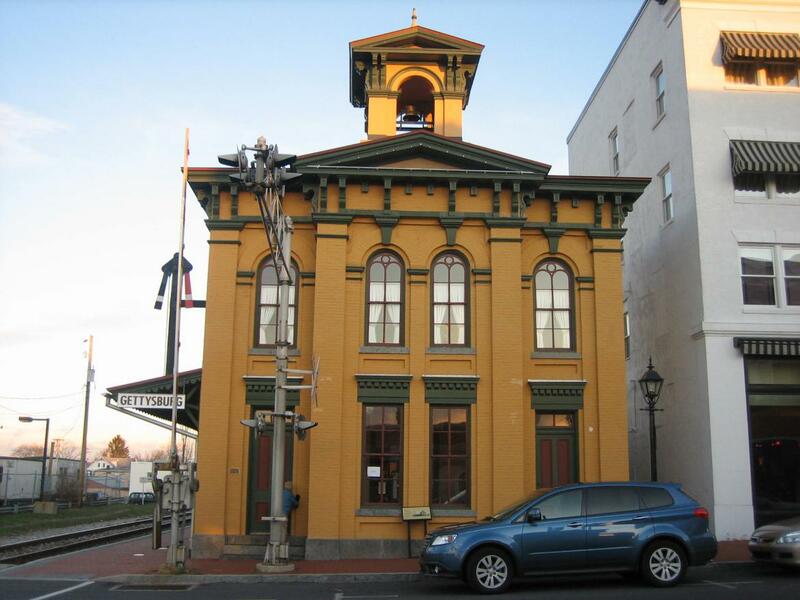 On the top floor is the Gettysburg Railroad office. On the bottom floor is the ticketing office on the right, and the men’s waiting room on the left. This view was taken facing north at approximately 4:30 PM on Tuesday, November 18, 2008. 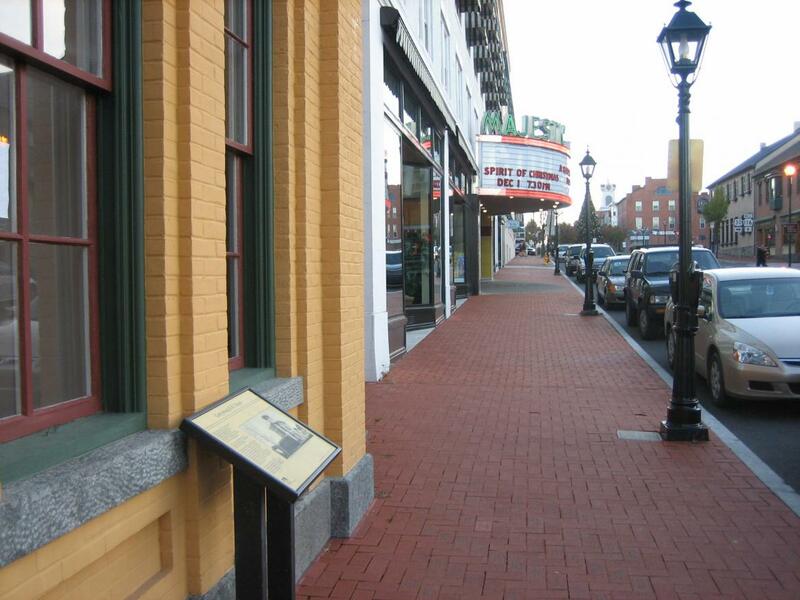 Lincoln and his escorts exited the building, and began walking on the left (east side) of Carlisle Street, or in Carlisle Street itself, toward the town square. This view was taken facing south at approximately 4:30 PM on Tuesday, November 18, 2008. In the town square that evening were hundreds of people who had arrived in town for the ceremonies. Many of them had nowhere to sleep that night, and they were very boisterous. 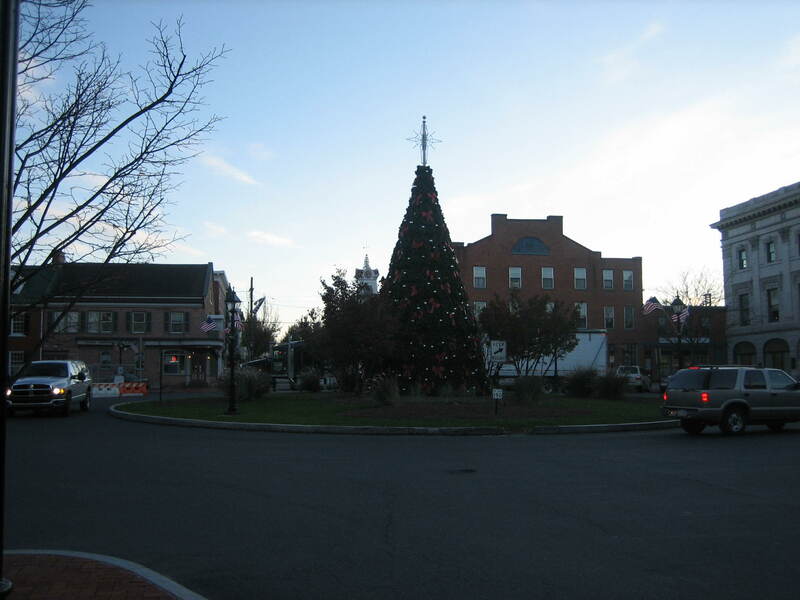 Today we have the Christmas Tree, which has been decorated, but the lights have yet to be turned on. This view was taken facing southwest at approximately 4:30 PM on Tuesday, November 18, 2008. Lincoln and the group walked past the McClellan House, and former law offices of Thaddeus Stevens on the left(now the Gettysburg Hotel), towards the Wills House. This view was taken facing southeast at approximately 4:30 PM on Tuesday, November 18, 2008. 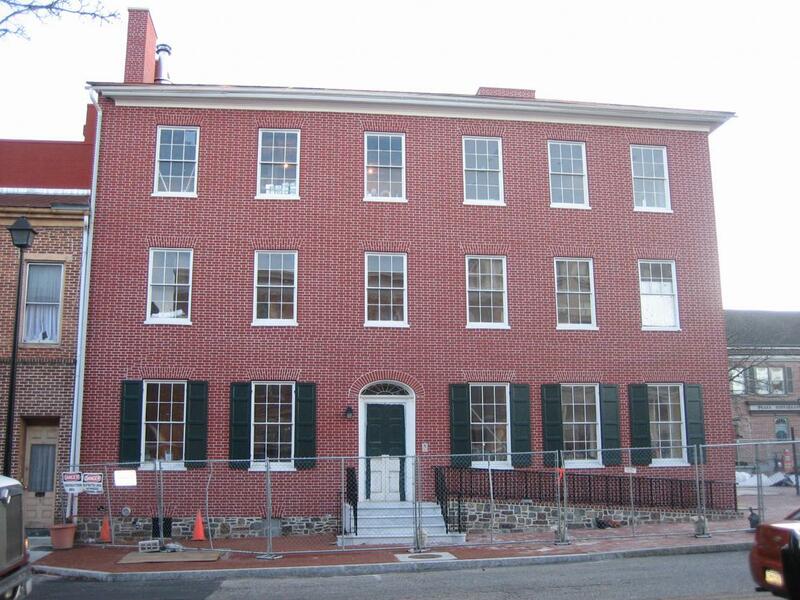 Lincoln entered the Wills House, and ate at an “official dinner” with approximately two dozen other guests. His African-America servant, William Slade, took the President’s bags to a second story bedroom on the west side of the building where Lincoln would stay that night. This view was taken facing southeast at approximately 4:30 PM on Tuesday, November 18, 2008. Bands and musicians traveled through the crowded square, yelling for the occupants to make speeches. Lincoln finally appeared at the door to acknowledge the crowd. This view was taken facing south at approximately 4:30 PM on Tuesday, November 18, 2008. “I appear before you fellow citizens, merely to thank you for this compliment. The inference is a very fair one that you would hear me, for a little while at least, were I to comment to make a speech. I do not appear before you for the purpose of doing so, and for several substantial reasons. The most substantial of these is that I have no speech to make.” The crowd laughed. Lincoln then continued his November 18th remarks. “In my position it is somewhat important that I should not say foolish things.” [Interruption: “If you can help it!”] “It very often happens that the only way to help it is to say nothing at all.” Again the crowd laughed. “Believing that is my present condition this evening, I must beg of you to excuse me from addressing you further.” President Lincoln then went back inside the Wills House. This view was taken facing south at approximately 4:30 PM on Tuesday, November 18, 2008. 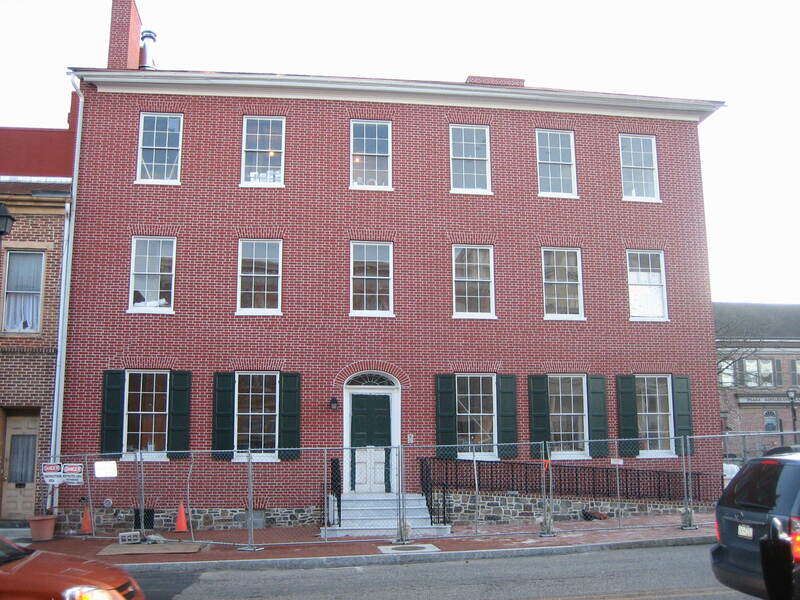 Lincoln’s bedroom was on the second floor, the second window from the right. 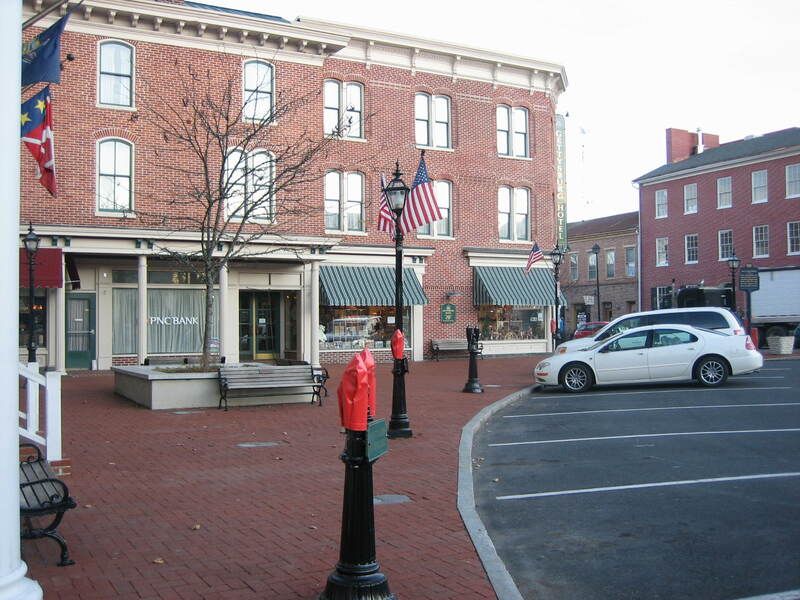 To the right (south) of the Wills House was the home of Robert Harper, the owner of a Republican Gettysburg newspaper, the Sentinel. The Masonic Building occupies the site today. 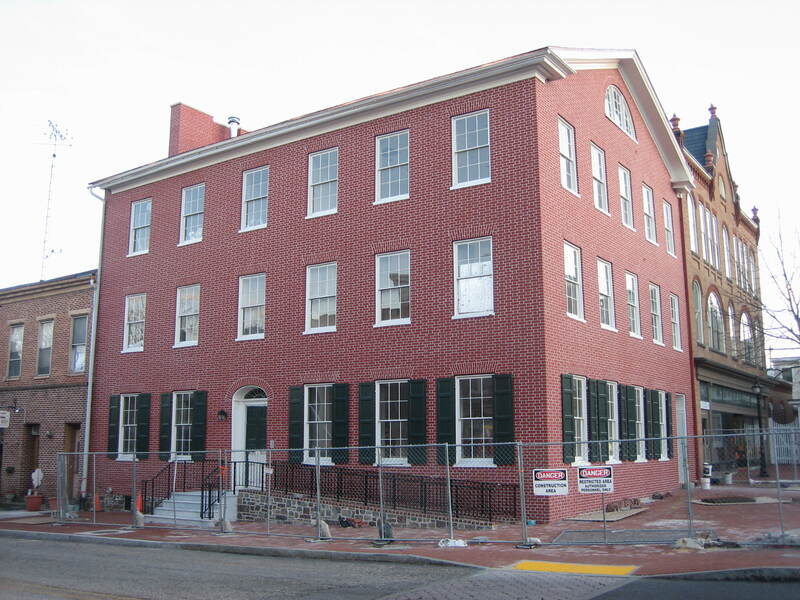 Secretary of State William Seward was a guest at the Harper House, and he entertained the crowd with a carefully written speech, which was lengthier than Lincoln’s comments a few moments before. Seward informed the crowd that slavery had caused the Civil War, and that after it was gone, the country would forever unite. Then northerners would mourn for the southern dead, as they mourned for the dead of the north. “When we part tomorrow night, let us remember that we owe it to our country and to mankind that this war shall have for its conclusion the establishing the principle of democratic government… the freest, the best, the wisest, and happiest in the world.” This view was taken facing east at approximately 4:30 PM on Tuesday, November 18, 2008. Because of the noise of the crowds, Lincoln could not get any quiet. 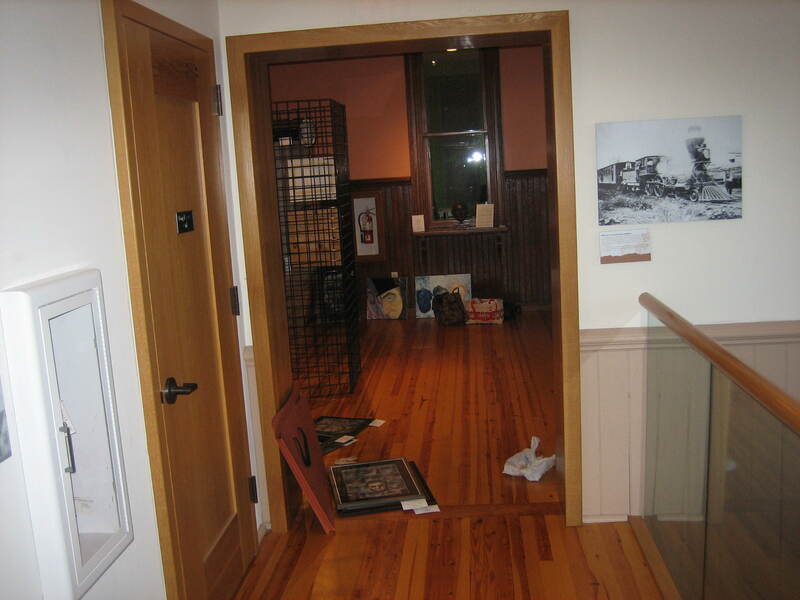 At approximately 11:00 PM, he walked over to see Seward, carrying papers to the Harper House. They met for an hour, and may have talked about Lincoln’s speech, but they also might have spoken about the telegrams Lincoln had received, or about the politicians with whom they had met that day. This view was taken facing south at approximately 4:30 PM on Tuesday, November 18, 2008. One telegram that Lincoln received that day probably allowed him to rest for a little while. His wife, Mary, had telegraphed him that his son, Tad, who had been ill when Lincoln left Washington, was now doing better. It has been speculated that Lincoln might have finalized his Gettysburg Address this night, but nobody knows for certain. This view was taken facing south at approximately 4:30 PM on Tuesday, November 18, 2008. The Gettysburg Railroad Station on March 6, 2008. 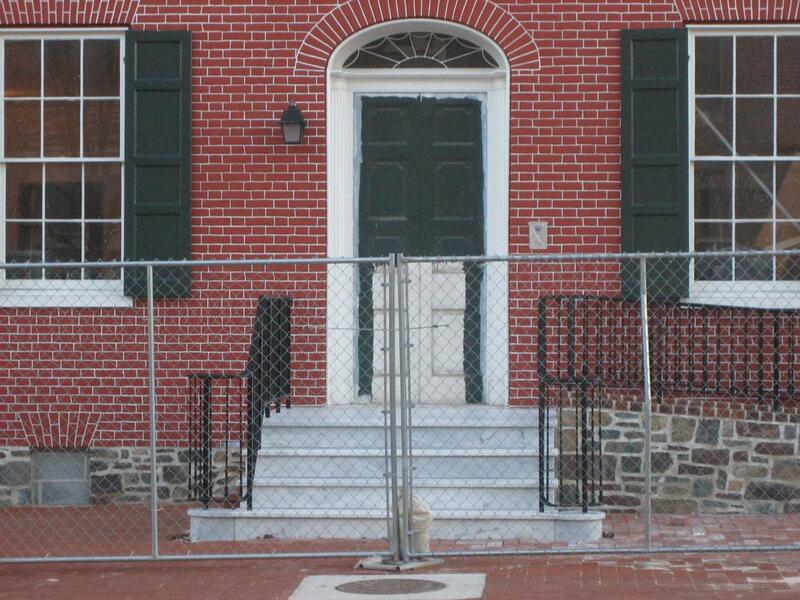 Gettysburg’s Wills House: White Stenciling Completed on West Side on November 5, 2008. Stenciling progressing well on the west side of the Wills House on October 28, 2008. Wills House needs a new manager on September 12, 2008. Only the west side of the Wills House still had red paint on August 19, 2008. West side of the Wills House started to be painted red on August 13, 2008.